In this website, we will explain the different factors that we must consider for our orchids can live long and can provide a lot of satisfaction of flowers and fragrances.This information is particularly aimed at people who know the subject and are faced with the challenge of caring for the first time one of these plants at home. 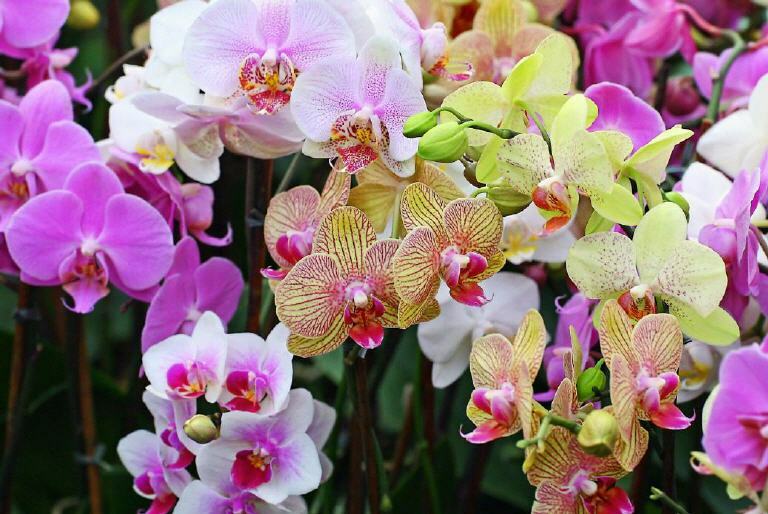 We recommend reading the different sections below and also check on "types of orchids" the peculiarities of each species on their needs page. Like all plants , light is one of the key factors for a successful development . Most orchids need lots of light but, normally, they do not tolerate direct sunlight although some species tolerate a little bit of direct sunlight ( of tropical orchids , only Vanda and Cymbidium can tolerate direct sun but out of the middle of the day ) . You must find a location near windows with good guidance. If the sun enters any time of day, try filtering the light through the curtains to attenuate . A good light conditions are essential to stimulate flowering. If you do not have enough natural light , one option is to install special artificial lighting for plants . They are different types ( mercury , high sodium and low pressure, etc...). Ask your dealer. Insufficient light causes the lack of flowering, low-growing , brittle stems that can fall, leaves of a very dark green or, in other conditions, yellowing leaves to fall. Water is perhaps , along with the light , the most important element in the development of orchids. It is through this element as the plant is hydrated and nourished from organic materials dissolved in it . Orchids can not be watered with the first water we have at our disposal . Normally current water from the tap has high hardness , chlorine, high pH and other components that make highly damaging. 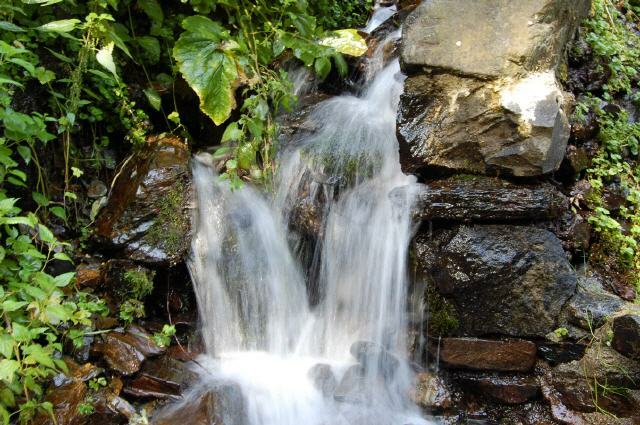 Remember that in their natural habit, water are usually very soft and free of additives. To water our plants we will use soft water (low mineral salts , calcium , sodium, etc. . ). Normally bottled waters ( the brand Bezoya is suitable ) are used . However, if you have many plants , a good option is to install a water filtration equipment for reverse osmosis. Currently there are different models at very affordable prices. This type of multiple filtering ensures a low hardness, pH correction , removal of chlorine and heavy particles. The frequency of the waterings should be adjusted to the temperature conditions . You will have to water your plants more frequently in summer and less in winter coinciding with the periods of rest (after flowering) . Watering must be simultaneous with the sprays that we comment later . It is important to let the soil partially dry ( without reaching it is completely dry) between waterings. If the roots ( where they have transparent container ) are of a white color, that means that there is lack of irrigation. If the roots are green , they probably do not need more water. Avoid , however, that the water creates swamps in the substrate. Drainage has to be very good, but we will have to water them more often. To maintain some moisture without damaging the roots , it is advisable to place under the pot or container , a plate with clay pellets and a little water . The important thing is that the water does not come into direct contact with the bottom of the pot as this can cause root rot . Must be the wet pellets which transmit some moisture wicking . In this way we work to the plant to have better conditions ( see next photo). This photo shows different possibilities to maintain some humidity in the plant. It involves placing clay balls in the base with a little water. In any case, the water level must not exceed the height of the balls (photos 1, 2 and 3). There are other containers (photo 4) that have a deposit isolated from the contact with the bark and where the water is deposited without touching the roots. In this way it is possible to maintain a certain humidity in the bottom without danger to the roots. 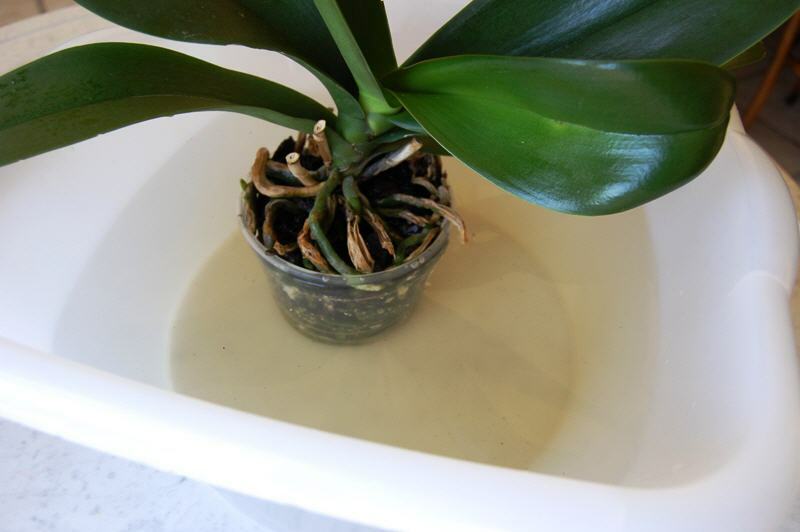 One of the best ways to water our orchids, is dipping into a container filled with water but without water get to the top of the container or pot. This is especially recommended for most of them. Normally, according to size and condition of the plant, about 10 minutes suffice for the plant to absorb the water they need. Then you have to drain well and let the rest absorb the clay pellets that we have placed at the base of the pot. 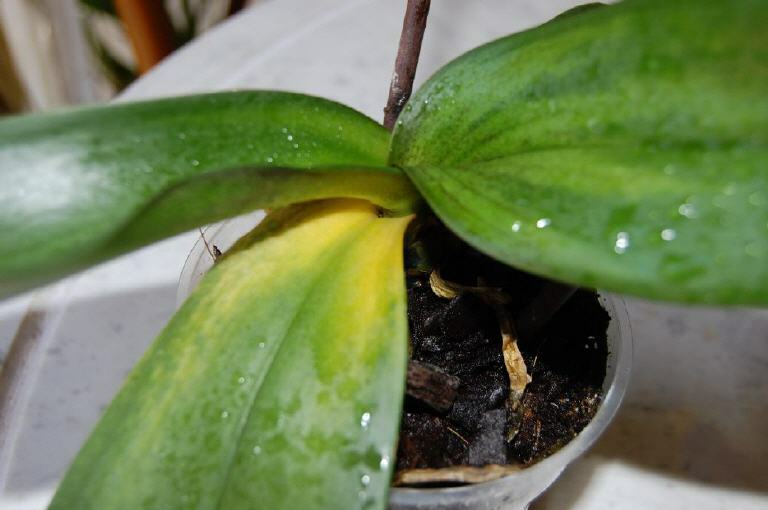 Keep in mind that orchids do not have pseudobulbs (eg Phaleanopsis) are more susceptible to dehydration and we will be more attentive to their irrigation. 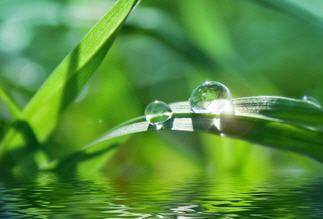 In the irrigation water we can also dissolve various nutrients as fertilizer, as directed by each manufacturer. The only problem is that if we use this method to different plants, if any of these plants are in disease, that disease can easily spread to another through water. So using this system we are certain plants that have no diseases. 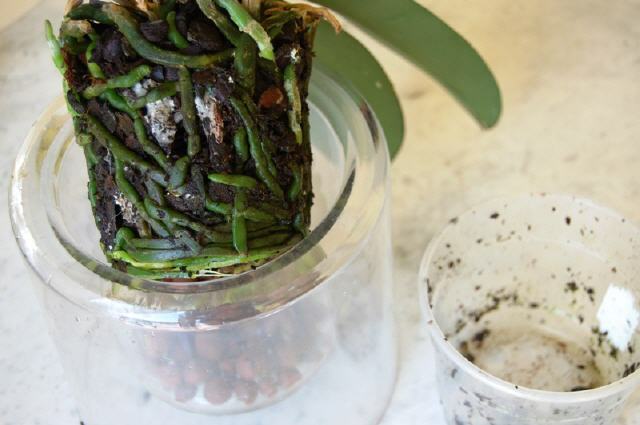 There are two basic methods to provide nutrients for orchids. The first is through the irrigation water with specific fertilizer for these plants. The second is by foliar fertilizer. 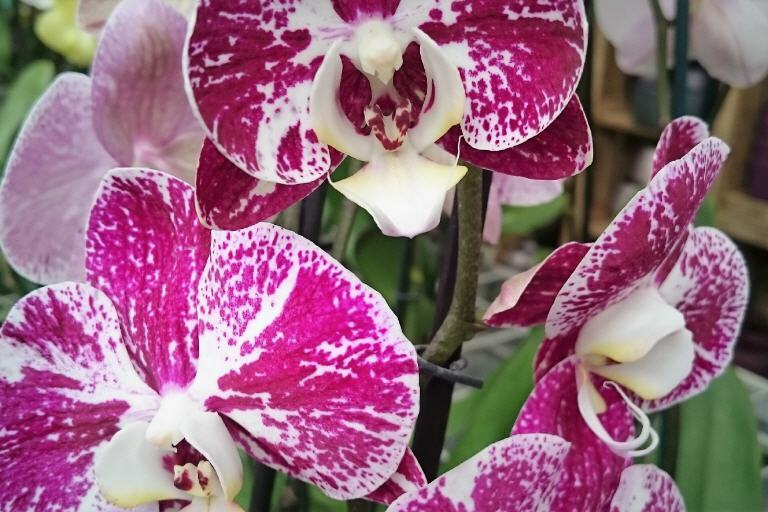 Orchids also absorb nutrients through the leaves , therefore, it is essential to incorporate in regular sprays, some foliar fertilizer absorption. Consult your local supplier about it . In previous stages of flowering is also desirable to incorporate specific stimulation products flowering. Such preparations usually contain vitamins , amino acid synthesis and other nutrients. 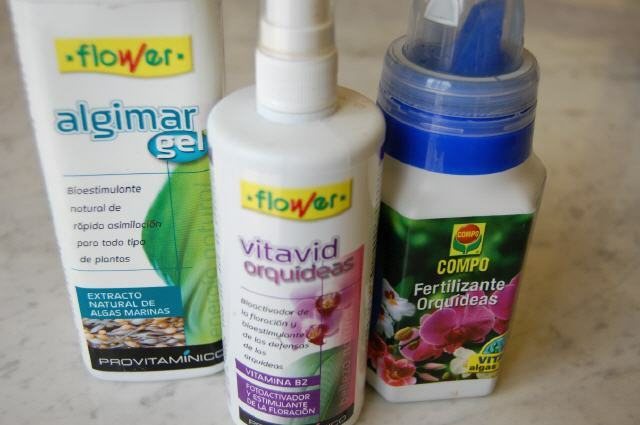 Its application is foliar and in any case, should be avoided spraying the flowers. The brand Flower offers its Vitalvid Orchids prepared and it works quite well . To encourage the resumption of vegetative plant, we supply a greater amount of nitrogen to our orchids( N) and the formula 30:10:10 ( N: P : K ) is used, which means: 30 parts nitrogen , 10 parts Phosphorus ( P ) and 10 parts of potassium ( K ) . Usually one or more dosages are performed in spring with this combination. To encourage greater flowering decreases nitrogen and phosphorus and potassium is increased and therefore used the formula 10:30:20 . During other periods the balanced formula used 20:20:20 or 18:18:18 . 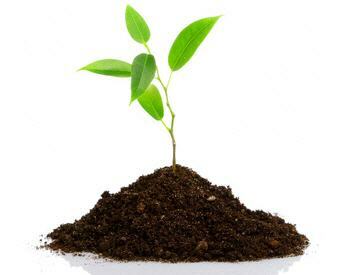 It is important to remember that we never fertilize the plant if the soil is very dry. If this happens we will be prior irrigation and wait for it to dry a bit before making the next watering with fertilizer. The different species of orchids are distributed in a variety of climates. However , most are native to the tropics and therefore need a hot or warm temperatures. Hardly, these plants withstand frost or temperatures below 4 or 5°C. 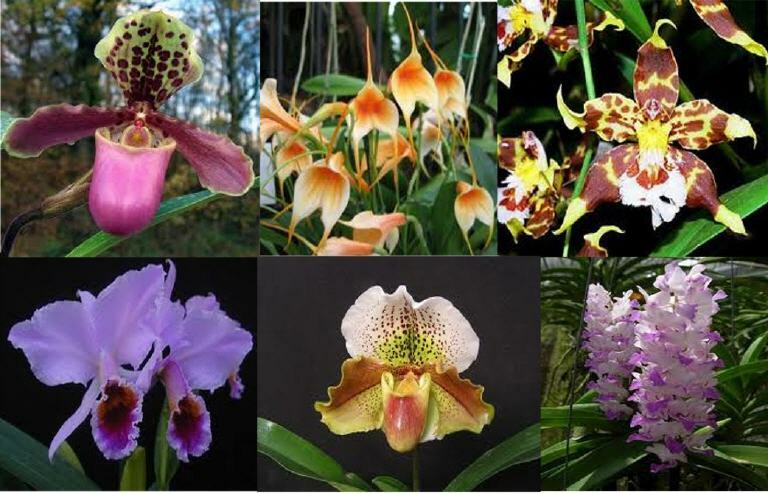 Overall, the most common families of orchids such as Cattleya, Cymbidium, Miltonia, Oncidium, Paphiopedilium , Phalaenopsis , Cambrias , Vandas , etc. . They need a minimum temperatures no less than a 9 or 10ºC. 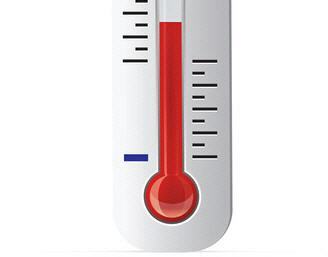 The daily temperaturas should not exceed 30ºC. Probably , depending on the geographical area, we choose to primarily indoor locations to ensure proper temperature range. Notice that at higher temperatures have to increase the moisture level to compensate for dehydration . We must also remember that many species require a temperature difference between day and night 10°C. or more to stimulate flowering . To do that, we may need to open a window to reduce temperature at night without reaching the aforementioned minimum limits. Humidity is one of the most important environmental factors in the care of orchids and , in turn , one of the most difficult issue to get over it. We have already mentioned that most of these plants have their natural habitat in tropical and subtropical areas. Most of them require a relative humidity above 40 %, as shown in the following table. We see that different genres have different humidities conditions being less demanding the oncidium, dendrobium and epidendrum orchids. These would be the easiest cultive in a relatively dry environment (below 50 %). For their part, Vanda and Miltonia require a high humidity ( minimum of 70-80 %), which render it difficult to care at home if we do not have additional resources. Orchids usually need warm temperatures and high humidity. It is clarify that many of these plants have been born and grown in artificial greenhouses, are the result of different crosses (hybrids ) and to some extent have been adapted to other conditions slightly different from the original . Still, if we want to enjoy orchids in an urban environment, in a flat in the city we partially acclimate a small area that have a minimum of moisture. Then we will look at some strategies to raise it. 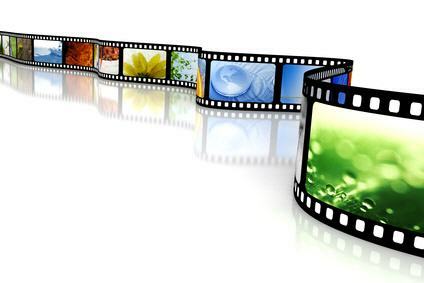 In fact, in practice, it is often used as a combination of these needs or capabilities. The first thing to do is to group the plants in a single area. This will facilitate the creation of a microclimate and is easier than the moisture level is maintained. Place the plants in a stepped way is advised, ie at different levels ( see photo top of this page ) . So the moisture given off from the lower level is used by the upper and the possibilities of maintaining humidity are higher. Place clay pellets at the base of the pots to hold water but without contact with the roots. Install a fountain with moving water and it has to work all along the day. If you are in a location close to the sea, you can provide moisture by opening windows temporarily. A common remedy is the use of hand vaporizers. The problem is that we have to perform them several times a day in hot weather . Finally we point the possibility of using an electronic humidifier in which we can predetermine a moisture level or use a timer to make it work only at certain times of the day. Orchids do not support closed or loaded (with little oxygen or much of snuff smoke or other ) environments. If methane sources close (fruit or other organic matter in a state of decay ) can cause early flower dropping . It is usually desirable to ensure a minimum daily ventilation avoiding direct air currents on plants (only the Vanda orchids tolerate that) . It may be that ensure proper ventilation difficult to maintain a certain level of moisture depending on the environmental conditions.It is preferable to ventilate ( open a window on time) than not to keep the moisture . Insufficient ventilation with a high level of humidity and temperature can cause the growth of fungi , bacteria and viruses. When we detect an infected plant is convenient to separate it from the group and give care to part (quarantine ) , not sharing irrigation water and subjecting it to appropriate treatment. In the event that the plant is very infected and we decide to replace it for another one , we disinfect the pot or container with bleach in water or other disinfectant before placing a new plant. Periodically remove remaining organic material ( dead leaves, fallen flowers , etc. . ) Preventing decompose in the area adjacent to the plants . When we manipulate the plant we have to have clean hands or wear gloves. 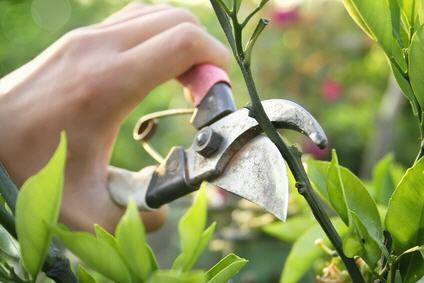 Take extra care with tools to cut or prune. Disinfected prior to cutting sticks, stems or leaves. If we cut a piece ( wholly or partially) is necessary to disinfect the wound left in the cut. We can usually use cinnamon dusting the affected area. We must also take special care in controlling insects. Pollinating insects play a vital role in nature but in the domestic environment may cause the pollination of the flower, which causes immediate closure and fall. Orchids are living beings and, therefore, likely to be colonized by pathogens of all kinds. A first step is to keep them under control the environmental conditions we have been discussing to prevent risks. However, we also take special care in the following respects. On this point there is no unanimity. 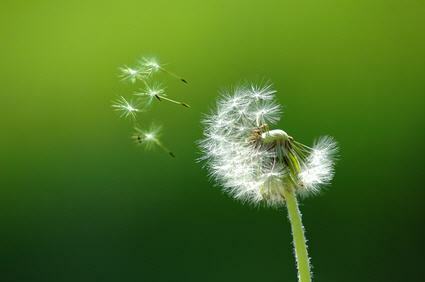 Some people recommend cutting the flower stem once it has lost all its flowers. Other advise against it if the rod has not been previously dried. There is also the possibility of cutting the rod in its middle and just above a knot. In this way the formation of a new flower sucker or a "keiki" is facilitated. The keiki are small suckers that do not result in flowers but identical to the mother plant. 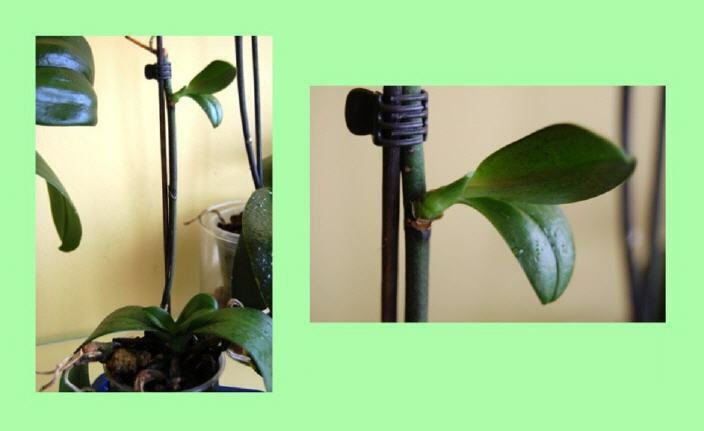 It is one of the methods of reproduction of some orchids.Unless you want to produce a keiki, particularly I prefer to cut the rod at its base once the flowers have fallen. The reason is that if you get from the old rod is a new flower bud, usually the number and size of flowers is less. So I think more interesting to force the plant to create new cycle. Probably , orchids are one of the most advanced family of the plant kingdom. They have managed to develop different methods of reproduction in a single plant . 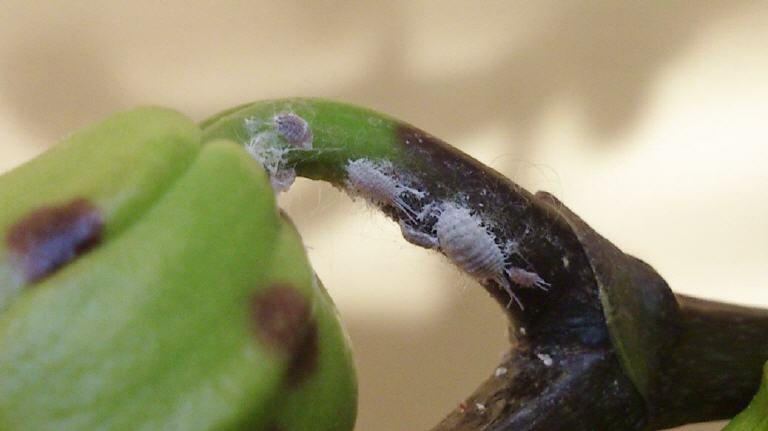 First, using the common sexually fertilization consisting on insects carrying pollen from plants to plant . To a large extent , beauty , color, smell and shape of the flowers is due to a complex evolution that has been adapted to measure the preferences of the insects on which they depend for continued propagation . This pathway that occurs in their natural habit is particularly complex to reproduce in artificial environments . The main reasons are that the seeds have an almost microscopic size , they have few nutrients to survive and depend on early symbiosis with a fungus ( Rhizostoma , ) to complete the cycle. 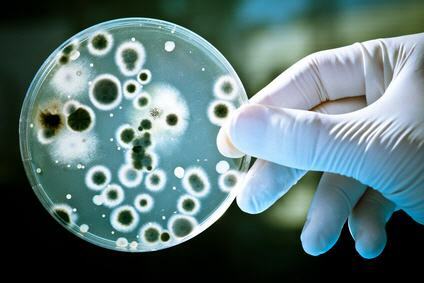 However, with the right techniques and in vitro cultive, this process is carried out for the last time in specialized laboratories. A second way of reproduction could be described as asexual.It is the appearance in a floral stick a small seedling ( keiki ) that is an exact copy of the mother plant that produces it. The process can be stimulated from the floral section of a rod ( above a knot in the middle) and after flowering and subsequent fall flowers. We suggest carefully remove the thin skin that covers the tip of the knot to get this way more light and stimulate the development of the keiki. The plant will develop from the flower stem , appearing aerial roots. Once such roots are between 3 to 4 inches you can proceed carefully separating the stem keiki mother plant to which it is attached. The next step will be planted in a small pot with the usual prepared crust. From herre we have a new independent plant. 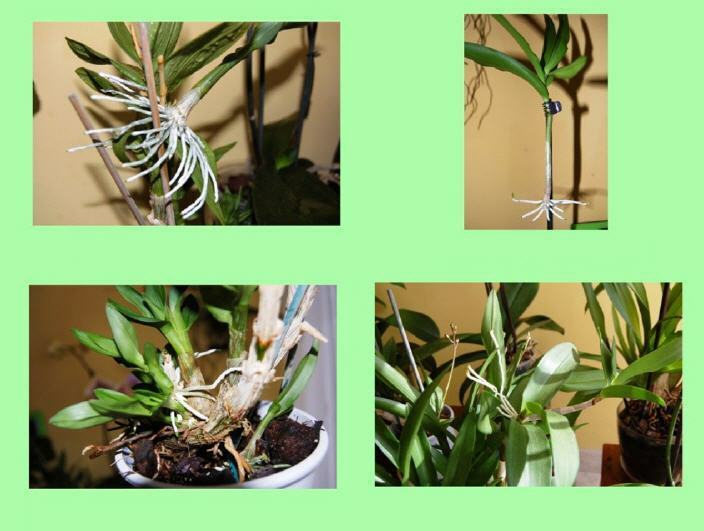 Some species such as Dendrobium mainly used epidendrum or mass formation keikis without applying special care, so it is very easy to get new plants at home. These keikis usually appear after flowering and when it seems that the plant and the main stem are dying. Therefore, the plant continues its normal evolutionary course and we will take care to get new outbreaks. Finally note that in the Cambrias , Oncidiums and others, we can also reproduce them using the known system of dividing clumps. This young outbreaks are removed when they reached a certain growth. To do that we cut with a sharp tool and disinfected the part that attaches to the mother plant , being careful with the roots when we separate them. Regarding the type of pots or containers suitable for these plants must take into account several characteristics depending on the different species. 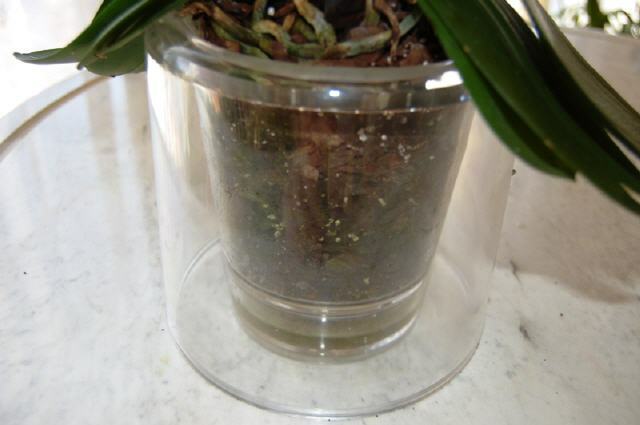 For Phalaenopsis, the most suitable pot is those that are transparent ( Perspex, plastic or glass ) . In this way we ensure that their roots reach as much light as possible . Recall that the roots of these plants also photosynthesize and SHOULD NOT in opaque containers . Vandas deserve special mention. For these plants the best place for them are baskets so the l roots are exposed to air. The problem here is to get a enough wet environment for their proper development . Some of these plants by placing traded within a glass jar . It is a system that can help keep some moisture in the roots but also compresses the normal development of leaves and plant in general. The other species are available in opaque containers and, indeed , often tailored . In any case it is recommended that non-porous pots (plastic , acrylic, etc. ) and the ceramic is not recommended. The reason is that ceramics are very porous and that facilitates retention of different salts dissolved in water (fertilizer) over time may affect the roots . Therefore, provided a non-porous container with good drainage ( large or numerous holes in the bottom ) and then if you want you can put it in a decorative ceramic pot in which we have placed at the bottom of the pot clay pellets. 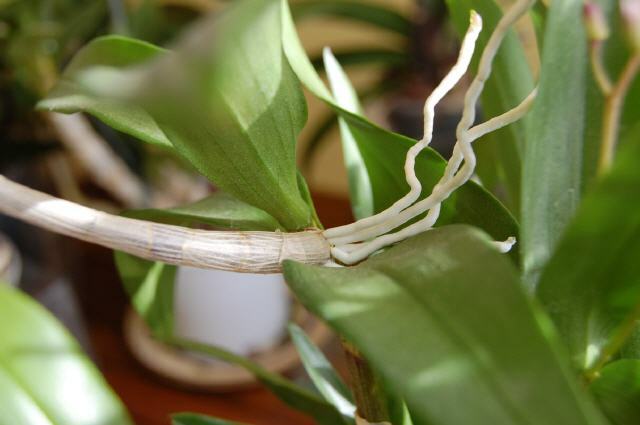 There are different types of substrates for orchids depending whether it is epiphytic or terrestrial orchids . However , they all share a common feature: drainage should be very good . Orchids do not support puddling of irrigation water as we stated above . Most orchids bought at garden centers are epiphytes and therefore need a light, porous soil . 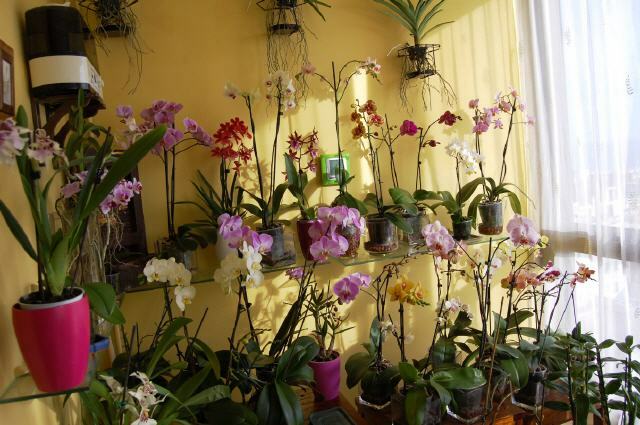 It is best to buy the specific substrate for orchids directly in the garden center. These substrates are comprised of a base of pine or spruce bark which different materials are added . Among them include sphagnum ( moss type ) , coconut fiber, osmunda fiber ( made ​​from the roots of the plant) . To improve drainage and prevent compaction of the substrate , pumice, expanded clay or perlite is used . Also, it is often found mixed with the substrate for orchids expanded polystyrene . Although not a natural product but an oil derivative , polystyrene beads shaped small white, it help us to aerate the soil without retaining water. Finally , it is advisable , before using a new substrate , wash (can be done with a strainer ) to remove any dust or unnecessary inert material. 1- The pot or container has been very small and the roots start to come out of the container at the top or bottom drain holes advantage . 2- The soil has been compacted and does not drain well so it retains water and is capable of breaking down. 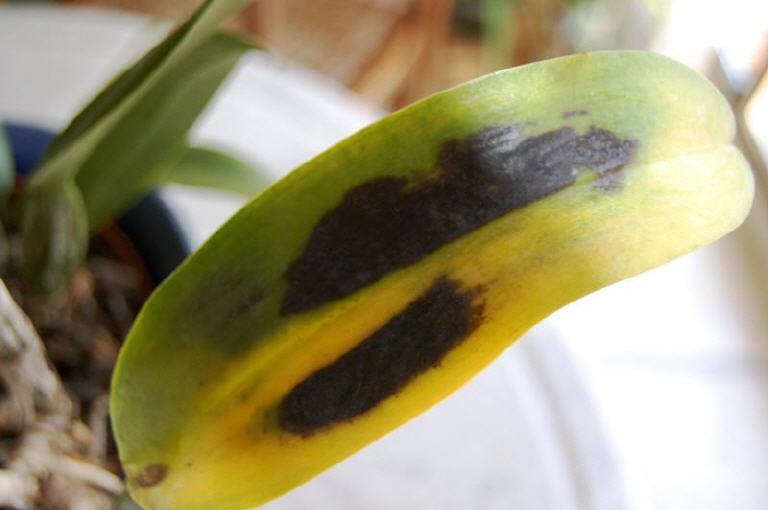 3- The plant is infected by fungi or other disease and observe deteriorating or rotting roots (moving from one green or dark brown) . The first signs may appear on the leaves begin to yellow . In the first case, we find a slightly larger container while respecting the original typology . That is, if it is transparent, so it must be the new . The best time to transplant is on the rest period, just after flowering or early restart the growing season (usually spring). Do not perform the transplant during flowering because a sudden change in environmental conditions during this period may cause the fall of the flowers. We will make sure that the soil of the plant to be drawn from the container is slightly damp to drag the roots more easily and without causing breakage. 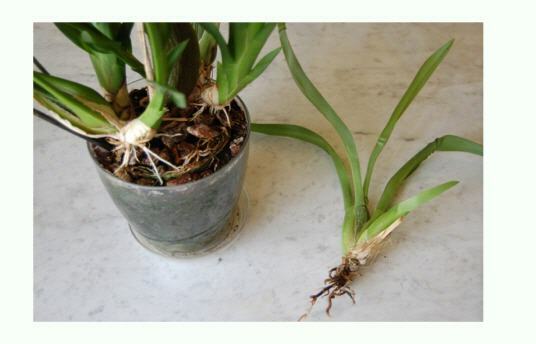 Once the plant is removed , remove by cutting ( previously disinfected with tool ) roots in poor condition or dead . Cutting areas should be treated with a broad spectrum fungicide ( consult your dealer ) to prevent wounds becoming infected. The new packaging also must be cleaned and disinfected before its use. 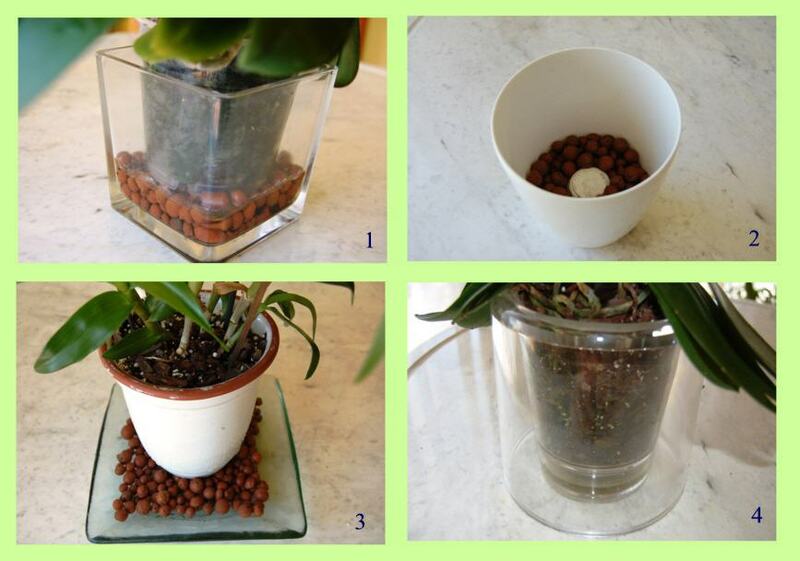 We recommend placing at the bottom ( for drainage purposes ) expanded a ceramic balls that can be found at any gardening. The rest should be covered with special substrate for orchids , avoiding compacting . It does not matter if any airbag or roots not covered. 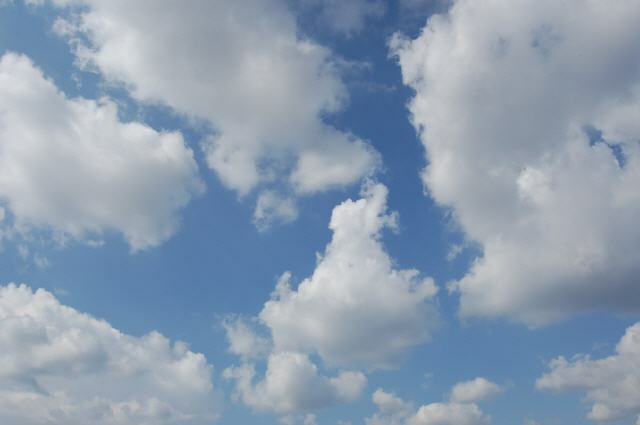 They seek the light and air for photosynthesis , therefore, that will help. Remember that the substrate is prepared with a main base of pine or fir bark . Never use vegetable or other soil. In the second case we proceed in the same manner ensuring that the new substrate provides adequate drainage. In the case of infestation the procedure is also the same but taking care to cut the infected parts and proceeding to washing with soap from the remaining roots . Treating ( as problem ) suitable fungicide or insecticide . If we removed transplantation or cut roots, it is recommended not to be immediately irrigate the still open wounds. 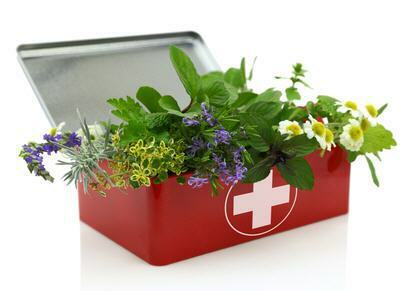 Ideally, leave the plant in a few days rest and the wounds are closed prior to its watered. This can avoid problems of infections. Last updated on diumenge, 23 setembre de 2018 at 23:00:27 .